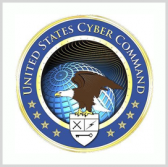 U.S. Cyber Command and the nonprofit organization Maryland Innovation and Security Institute have established a new partnership that seeks to facilitate collaboration among government, industry and academic institutions to build new cyber platforms, Fifth Domain reported Friday. DreamPort “provides a venue for robust collaboration, problem solving and innovation; includes prototyping; and provides many contracting options,” Jack Dillon, cyber lead at Army Rapid Capabilities Office, told Fifth Domain in a statement. DreamPort is a Columbia, Md.-based facility that intends to support the development of cyber tools through rapid prototyping events. Created through a partnership intermediary agreement, DreamPort is a cyber version of SOFWERX. Tampa, Fla.-based SOFWERX is a public-private partnership operated by the Doolittle Institute and Special Operations Command and seeks to advance collaboration, exploration and rapid prototyping of new technologies with industry and academic partners.